We were so impressed with the care and detail of wood rings from the experts at Simply Wood Rings that we had to tell our readers about them. They take eco-friendly resources and transform them into elegant wedding or engagement rings. Along with their wood options, they can transform your special materials and inlay materials into a special rings with incredible meaning. Imagine if you met the love of your life at the beach among driftwood and shells. They can create a stunning piece of jewelry that commemorates the meeting that changed your entire life. The materials for their rings comes from responsible sources. They have a mission that involves creating an object that comes from reused or renewable materials. All the rings they make are crafted by hand, too. They believe that wood rings are a way to celebrate life, and that should be done in a responsible manner. They will take your salvaged wood and sentimental materials to craft a stunning ring that you can design yourself. They require a certain amount of wood to create a ring for you, though. The piece of wood you send them has to be 12 inches by 2 inches by 2 inches at least. The rings feature beautiful walnut, rosewood, oak, kauri, or mahogany with an inlay of your choosing. The inlay could be a thin band of metal with a stunning stone, or it could be another type of wood or embedded stone. While there are a variety of ring choices, you can also make your own wedding ring by providing the company with the materials and using the ring template they have for customers. The ring template allows you to customize your ring with the width, which can be 4 mm to 10 mm as well as the width of the inlay material, too. When choosing your design, you pick the base, ring width, inlay or not, inlay width, placement, and profile. The last choice is the ring size itself. On the interior of the ring, Simply Wood Rings allows you to add a message of your choice. They use simple wood-burning techniques to burn the message directly into the wood before adding the polish. With the use of a burning tool, there is no chipping or engraving process to weaken the integrity of the band. There’s a limit of 25 characters. The artist and founder of Simply Wood Rings is Gustav Reyes. He developed the process of constructing these rings due to his knowledge of woodworking and an education from the Art Institute of Chicago. He’s influenced by e. e. cummings as well as Sam Maloof and Gustav Stickley. They recommend caring for the ring with wax occasionally to keep the wood supple. The finish on the ring will protect it from soaking up water, but you have to make sure you’re keeping the finish from wearing. They recommend removing the wood ring when taking a prolonged soak in water. That includes long bath times as well as swimming. If the finish is starting to wear down, the wax can be a stop measure, so that you don’t have to send it in for refinishing as frequently. They offer free refinishes for the life of the ring. You’re in charge of shipping costs only. They have repair plans that you can purchase for your wood ring. The refinishing is the first tier of the plan, and it’s free. The second tier is $60 (at the time of this writing) and includes patching superficial damage. It includes a renewal of the finish, too. The repairs can take 2-3 weeks. In the third tier, the outer layer can be rewrapped due to superficial damage over a large portion of the ring. This third tier includes refinishing and can take up to 3 weeks. This tier costs $110. The fourth tier includes a full remake of the ring. It will take 4-6 weeks, which is how long a ring takes initially. The pricing will need to be discussed with the company. They recommend that you contact them in the case where they would have to remake your entire ring. The company recommends wooden rings for people with metal allergies and those who want a ring with a story. Wood rings are durable. While the company admits that wood rings are not as durable as metal, they are great rings that won’t splinter or crack. They believe that wood rings are rich in history and can be a celebration of life itself, too, which can mean more than having a metal band around your finger. 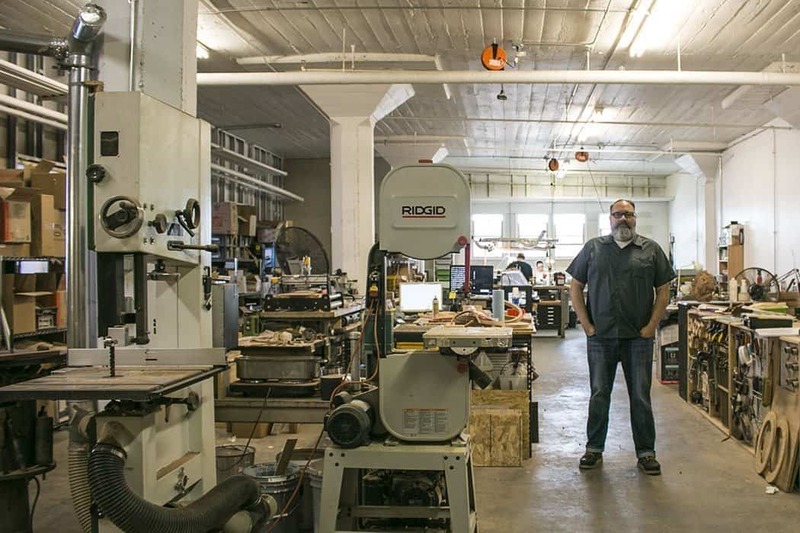 We had to put a spotlight on this company because we believe they create beautiful wood rings. Those rings are the perfect choice for someone who wants an eco-friendly ring. It’s a terrific ring for the couple who wants something extra special for their wedding bands, too.